Jason is recognized as a trusted, honest and dependable janitorial supplier and consultant in the tri-state area. For over 24 years, customers have chosen Jason for more than just his competitive pricing and industry knowledge. Jason and his team of sales reps, customer service and technical support staff all share one mission. They view their customers' facilities and businesses as extensions of their own. 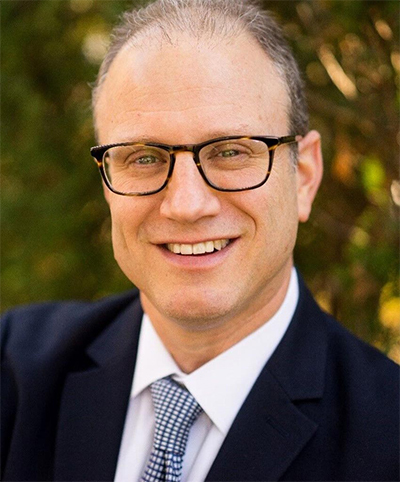 As an award winning and experienced sales consultant in the tri-state area, Jason Teigman, is acknowledged as a trusted, honest and dependable asset to many facilities. For almost a quarter of a century, customers of building maintenance supplies and commercial cleaning equipment have chosen Jason for more than just his competitive pricing and industry knowledge but for access to his network of experts and innovative green and environmentally compliant products. Jason and his organization are committed to providing exceptional customer service and certified trained technical support. They understand that customers are judged by the highest standards of quality and service. Whether it’s a school, a fitness center, family entertainment venue, they are expected to be hygienic and environmentally sound - an ever-changing challenge. The entire staff all shares a single mission; they view their clients' facilities and businesses as extensions of their own. When you choose to work with Jason and his team for ride on or walk behind floor scrubbers, industrial carpet-cleaning equipment, commercial backpack and upright vacuums, high speed burnishers, you will have a partner who shares the responsibility of sustaining the cleanliness of each building from the property manager, to the facility director and the custodian. Jason Teigman's exceptional procedures and distinctive strategies for producing clean, healthy environments are designed to deliver a high quality result for the client no matter the setting. From the commercial office to the hi-rise residential to the garden style apartments, Jason is devoted to creating a cleaner, safer, and healthier place to live and work. Jason and his organization will design a customized program that will solve the toughest maintenance problems any building owner or manager may face. Jason prides himself in staying educated on the dynamic changes that occur in the industry. He then imparts those techniques to insure he offers the safest, most efficient and effective use of each of the janitorial materials and products he distributes to the end user. He is associated with reputable manufacturers and agents that through their own quality control measures, can assure you that what he sells will indeed perform! Days are often spent working hand in hand with building owners, managers, boards, businesses and their management teams to reduce their property's operating costs while improving their service levels and overall market value. A major focus provided by Jason and his team is insuring that the buildings are maximizing their energy efficiency, meeting and exceeding the green standards, and get the most out of its sustainability initiatives. Working closely with building managers means Jason's recommendations for janitorial supplies and products results in the improvement of their residents’ quality of life, profitability, as well becoming better, and greener corporate citizens. As a supporter of the cleaning and property services sector, he is extremely concerned and dedicated to the promotion of good environmental choices and certified green cleaning solutions. He offers alternative products and solutions that have a favorable impact on the environment, low Volatile Organic Compounds, recycled and recyclable products. He strives to identify and promote equipment that lowers energy consumption in the usage cycle, reduces water consumption, extensively filters particles released into the air, etc. In addition, he is constantly striving to research and work with renewable and biodegradable materials. In today’s economic conditions, managing risk and regulations has become more important than ever on the clients and users of these products. Setting Jason apart in the janitorial supply space is the fact that he provides no-cost training on OSHA Safety, Global Harmonization Systems (GHS) Labeling, as well as educating clients on certified green cleaning standards. Partnering with researchers and industry experts means that Jason can offer increased levels of knowledge of sustainability and hygiene best practices. He understands these issues and endorses and promotes unique methods designed to minimize client exposure. Likewise, Jason and his cleaning and janitorial supply organization also provide comprehensive on-site training and initiate preventative maintenance programs on the indoor and outdoor environmental cleaning equipment. Jason conducts assessments of cleaning processes and provides detailed analysis of the sanitary health of the facility. Jason delivers a plan of cost cutting measures that include green initiatives and educating the staff to insure proper implementation. A perfectionist by nature, Jason's janitorial cleaning supply organization is continuously working with customers to identify methods of using less harmful products for the janitorial staff and the end user’s clientele. His goal is to fulfill each client's needs, providing a complete range of technologically advanced options for cleaning chemical systems, innovative paper and plastic products and state-of-the-art maintenance equipment. Going a step further than his competitors in the janitorial supply and equipment industry is what separates Jason from the rest of the pack. The organization is large enough to service but still small enough to care. Choosing to work with Jason provides you the opportunity to join forces with the best in customer care along with continuous custodial training. The entire team is dedicated to providing the highest level of service that you, the customer, consider most appropriate for your needs. Contact Jason today for your cleaning supply and equipment needs, email now at [email protected] or call 201-321-1785. Contact me for more on my services or for a full catalog of products I offer.